maybe you have a little wicked side and just didn't want to think of this solution to quickly?!?!?! Glad you got it sorted though so that your bougainvillea can have free reign!! I love the fluffy colors in your bougainvillea, Cindy. 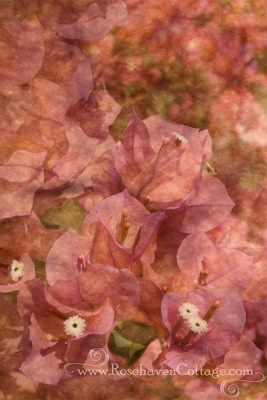 Bougainvillea blossoms are flamboyant, exotic flowers to me. I first saw hot pink ones growing up over the fireplace windows at Grama Munce's house in Oakland and loved them, one of the wonders of the bay area. Their papery flowers are so intriguing, delicate and intriguing. Great solution!